Our daily food volume has more than doubled over the last 50 years. 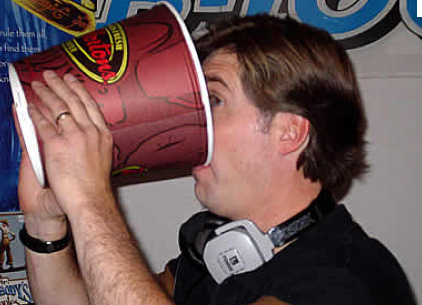 When you order an XL coffee at Tim Hortons they basically hand over the entire pot! To see a change in your body you have to change your diet, it’s at least 50% of the equation if not more. I have one client who is drastically changing his diet. 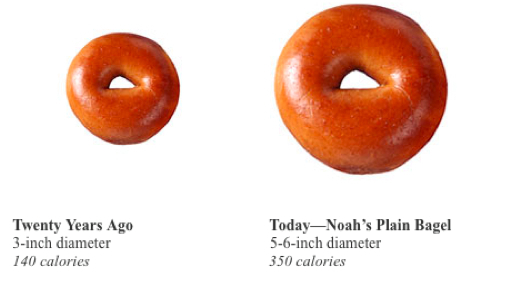 The biggest thing he’s noticing is the difference in the volume of food he used to eat vs. now. He is just amazed now at how little he can eat and still stay satisfied. 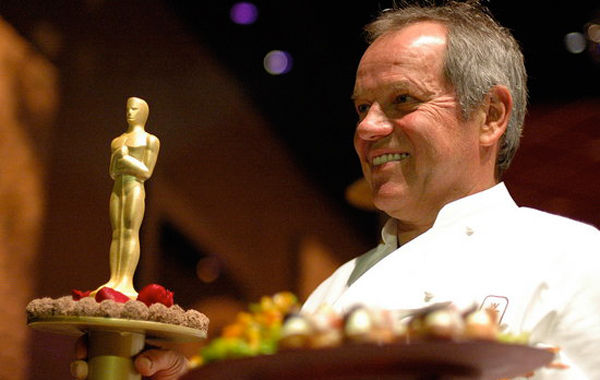 World famous chef, Wolfgang Puck has a great line about food volume. He says that a perfect meal is one that you could happily make love immediately afterward. When I was growing up I was always told to clear off my plate. I’d eat until I was stuffed. I think this strategy worked for kids in the 1950s but the problem with eating until we are full now is that our plates are too big. The more I ate, the more my capacity for food volume increased and the bigger I got. I used to eat more than the rest of my family combined, now I’m on par with everyone or sometimes less. When I was traveling through Thailand and South East Asia last year I was blown away by their portion sizes; they were tiny! At the beginning of the trip I was often tempted to order two servings but that would have been pretty embarrassing so I didn’t. After about a week I got used to it and really loved feeling light after every meal. When I came back to England we went out for classic fish and chips. After the dinner I almost keeled over, literally stuffed to the brim and I couldn’t even finish half! Reducing your total food volume will guaranteed reduce your waistline. The only two things we need to consume in excess are water and green leafy veggies! Excellent! Its so true – I still have my grandmother’s china and the dinner plate is half the size of today’s plate!